On the 150th anniversary of his birth comes this biography of the conductor Arturo Toscanini, who transcended his own field, becoming a figure of such renown that it was often impossible not to see some mention of the maestro in the daily headlines. Harvey Sachs has written the definitive biography of this great, and colourful, character ... Drawing on an enormous range of evidence, Mr Sachs paints a vivid picture of the great conductor ... Alongside this lengthy examination of Toscanini’s approach to music, Mr Sachs treats the reader to a bit of gossip. Toscanini had a voracious sexual appetite and innumerable lovers ... Mr Sachs’s writing style is precise, fluent and gripping. And one can dip in and out of the book, since Mr Sachs helpfully offers reminders of important characters and explains basic concepts. As a study of the life and times of one of the greatest conductors of all time, this book will not soon be bettered. ... sweeping exploration of both aspects of Toscanini’s life ... [Sachs] paints a captivating portrait of the conductor, from his birth in Parma in 1867 to his final days in New York 89 years later. And while he traces themes both musical and political, Sachs does not neglect the maestro’s personal life, including his countless extramarital affairs, which are integral to the story ... In pages brimming with the political struggles of the twentieth century, Sachs reveals the fiery eloquence Toscanini directed against the evils of fascism...As this engrossing volume demonstrates, throughout his remarkable life, millions looked to Toscanini for inspiration both inside and outside the auditorium. Harvey Sachs, in his comprehensive new biography, Toscanini: Musician of Conscience, describes in detail the process of rehearsal, live performance and post-concert 'patching sessions' to correct minor slips in the recordings ... 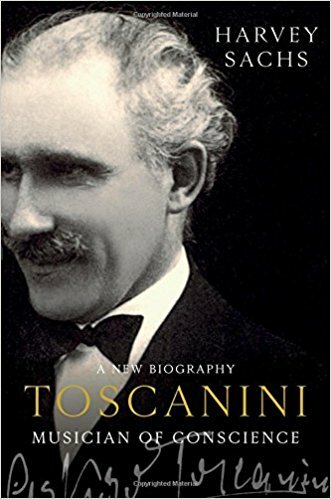 In 1978, Mr. Sachs published an excellent biography of Toscanini, but this entirely new one — not a revision — draws extensively on newly available archival material, especially Toscanini’s own letters, and offers a portrait that even more fully humanizes the Great Man ... Mr. Sachs is a lucid informant, providing all sorts of interesting details, down to which ships Toscanini took on his numerous Atlantic crossings ...you can’t help discovering one of the world’s greatest musical voices. 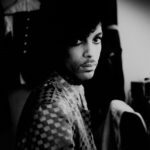 Mr. Sachs’s necessary, authoritative biography reinforces that impression with a portrait of a complex, flawed, but noble human being and a towering artist. What did you think of Toscanini: Musician of Conscience?